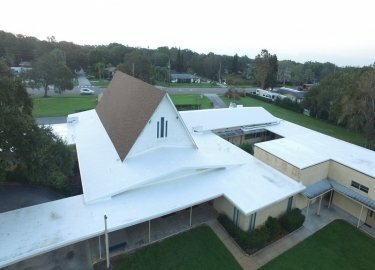 Elite Roofing Services has been providing commercial metal roofing installation, repairs, and maintenance in the Lakeland, Florida, area for more than 20 years. We are committed to making sure that each customer is satisfied with the work we do, which is why we employ experienced technicians who are focused on providing precise repairs and installations. We also offer regular maintenance programs so you can make sure your roof stays in optimal condition. We can also design and install any custom gutters, downspouts, fascia, and soffits needed to ensure that your roof is ready to provide protection for many years to come. We’ve provided installations and repairs for a wide variety of structures throughout the region, including restaurants, apartment complexes, shopping centers, retirement communities, industrial facilities, office buildings, warehouses, and more. Additionally, many of the metal roofing products we install come with 30-year guarantees against fading and cracking, so your investment will be protected. 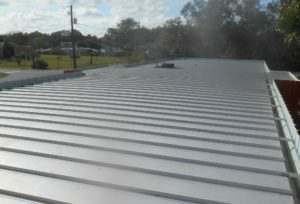 If you are in need of a commercial metal roofing contractor to repair or replace the roof on your building in the Lakeland, FL, area, contact Elite Roofing Services today. We’d be happy to provide a free roof inspection and estimate.